Like its name FunPhotoBox.com is an interesting website which allows you to edit online pictures that you cannot able to stop your laugh. 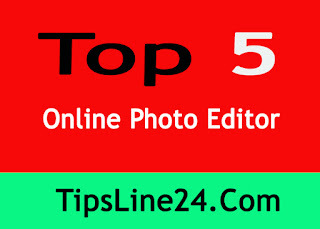 Like Photofunia.com it is also a popular website. Photofunia.com which is popular for its strange photo frames, you can do photo editing in many ways. Those who wish to do Funny perpetrated with their photos, on this website they can find more than 150 background effects and stickers. Instead of Cut, copy and paste; the application selected your own face in photo and affix it into a scene (background). Pizap (www.pizap.com) is a website that allows you to edit funny and some exclusive pictures. Through this website, stickers, background and various effects can be used on photos. Photos on this website to be edited in a few minutes to share with your friends. www.photovisi.com is a simple online service which is used to creating template that combines your multiple pictures together. Photo collage can be made via this online service. Photo collage created by PhotoVisi look like Picasa photo editing tool.